Thank you very much for HungryGoWhere and Makan @ Jen team for the invitation to the tasting session. 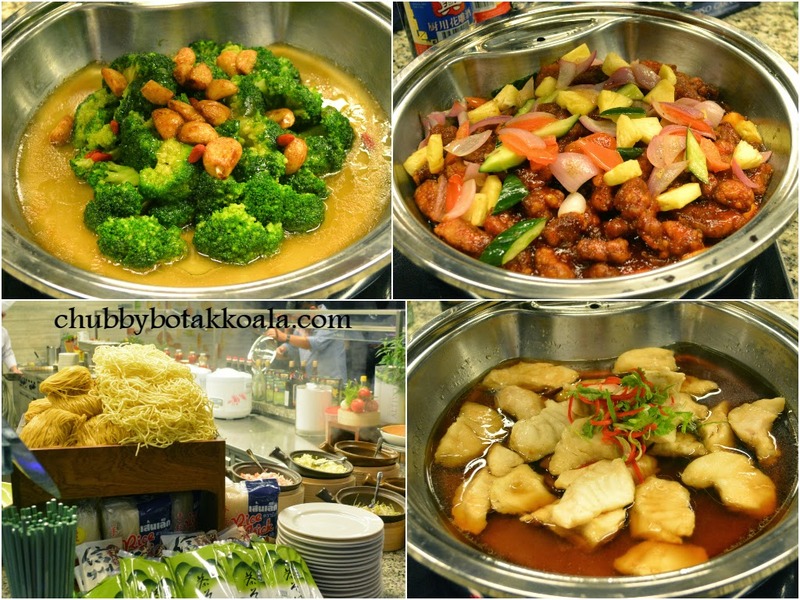 Makan @ Jen ('M@J') is the main restaurant at Hotel Jen Orchard Gateway which opened on 15 September 2014. Build on the land of the Hotel Phoenix and Specialist Shopping Centre, it is smacked in the middle of Orchard Road Shopping Belt. M@J is located on the 10th floor of the Orchard Gateway Shopping Complex, which provide a stunning night scenery to accompany your dining experience here. 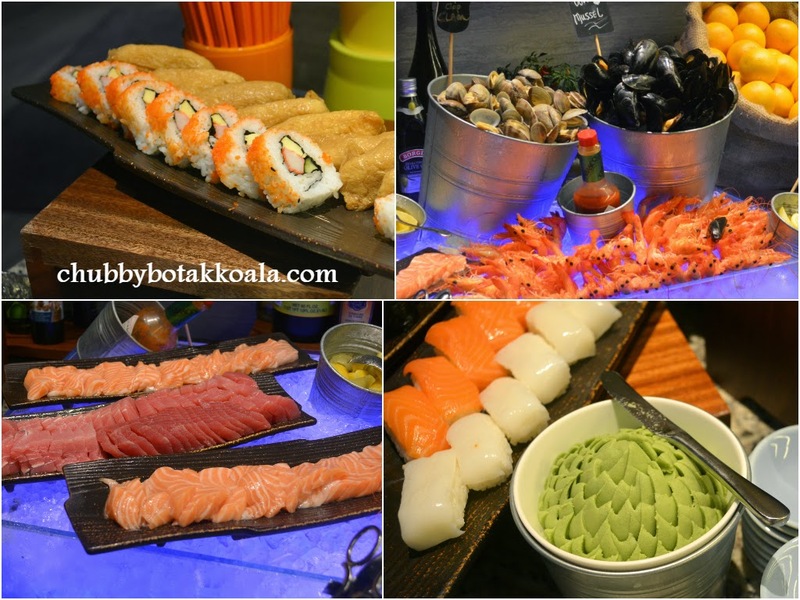 For the buffet, M@J provide a combination of Asian, International and local flavours. LD and I was there on Monday night, where they serve regular buffet. On Friday and Saturday night, they serve seafood buffet. Here are the top items you must try here. Sashimi and cold seafood. Limited to two type of sashimi, salmon and tuna, both the sashimi are fresh. We like the salmon more, as the one served was the cut near the belly. Yup, the fatty part of the fish. The mussels, clams and prawns are fresh as well, I actually enjoy them without dipping it into any sauce. Sushi was available as well, however sushi rice has become harden due to prolong exposure to the air. Slow Baked Salmon with Roasted Cheesy Potato. I don't normally target cooked salmon in a buffet, however this time around it is different. The slow baked process maintain a moist and smooth texture to the fish. The sauce accompanies the salmon nicely and remove any trace of fishiness on the fish. The roasted cheesy potato is excellent and provide a different texture combination. Crispy, cheesy and moist in the middle. Awesome. Salads. Gado-gado and duck salad are LD's choice. The gado gado is more of Indonesian style, which are less robust but focus more on the rustic peanut flavour to cover the boiled vegetables. For the duck salad, it was a perfect combination of tender (duck meat) and crunchy (vegetables). The dressing was totally spot on. Grilled Big Head Prawn and Squid. When it is just off the grill these two items are a must-have. It is fresh with a slight charred flavour. I prefer it naked (without sauce), but for those prefer additional flavour, there are 5 type of sauce to choose from: black pepper, satay, brown sauce and two type of chilli sauce. brown sauce and two type of chilli sauce. Soya Chicken Noodle. A soy base noodle soup served with soy chicken. The chicken are just tender and succulent. It absorbs the soy sauce well. The noodle is thin egg noodle, like the version of Hong Kong wanton mee. Very springy in texture. The broth is dark, but light in flavour. It will be better if it is a bit more salty. Ice Cream. The selections are combination of local and traditional flavours. I had the coffee and LD had the jackfruits. They ice cream is creamy, smooth and full of flavour. Best of all, the ice cream was not too sweet and overwhelm you. You will probably wonder why we did not mention more red meat. We tried the grill beef and chicken, however due to the quiet night, the beef and chicken meat already harden. It tasted better when we ask the chef to cook a brand new one, but not worth recommending it. The roast duck and crispy roast pork is really average. I find they displayed too much of the roast duck and roast pork, something need to be done to ensure it remain fresh and crispy. 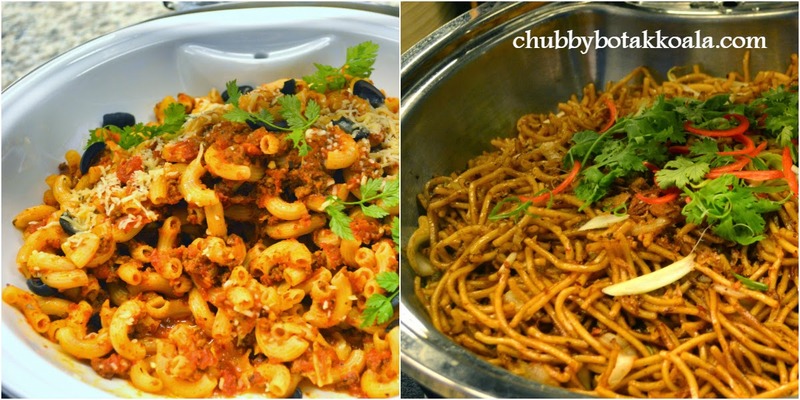 For carbo selection, I tried the mee goreng and macaroni bolognese. The mee goreng spiciness level has been tone down compare to what we normally have outside. Meanwhile the macaroni bolognese will be good for comfort food. The bolognese sauce are quite thick and flavourful. Although there are a lot of choices of good cakes, none really stands out. Service on the night is very good. The service staff is very quick to clear your dirty plates and they give good suggestions on what to try. They also recommends their flavoured teas, which was refreshing. Overall, the new kid on the block, M@J provide a good value for money proposition. Their focus is on their fresh and healthy ingredients. Check out their opening promotion which valid until 31st October 2014. Cheers!! Current OCBC Card promotion until 31st October 2014. Great post! We've had an awesome stay at Hotel Jen Orchardgateway recently and visited Makan@Jen and Lounge@Jen as well. Great food, great stay! Thanks for the the comment. We're glad that you enjoy your stay at Hotel Jen Orchardgateway and the makan there. Cheers and nice Travel Blog you have there.